The Asian Human Rights Commission (AHRC) is writing to draw your attention to important developments in the case of 78 persons killed in the custody of the Royal Thai Army after being arrested at Tak Bai, Narathiwat on 25 October 2004, and some six others killed in the course of a protest outside the district police station there on the same day. It has been widely reported that the interim prime minister of Thailand, General Surayud Chulanont, on November 2 publicly apologised for the Tak Bai killings and handling of the incident. Both he and the attorney general have now indicated that the court case against 58 persons wrongly charged after the incident is likely to be withdrawn. This last point is to where we must now return. The apology by General Surayud will be meaningless without those responsible being prosecuted and tried in courts of law. After two years, the apology is welcome, but investigation and prosecution is imperative. Accordingly, we urge you to again call upon the Government of Thailand to open full criminal investigations of all persons connected with the deaths in custody and other casualties of 25 October 2004. Nothing less will bring Thailand into compliance with its obligations under the International Covenant on Civil and Political Rights, which the current administration has pledged to uphold, along with all other international treaties to which it is a party. As you know, the need for prosecution in this case goes far beyond the deaths and injuries that occurred on one day, and even the aggressive and inflammatory policies of the former administration of Thailand to the south. Rather, it goes to the impunity with which all security forces in Thailand have operated and continue to operate in all parts of the country. In that respect, the AHRC also notes with concern that the new administration of Thailand on October 18 renewed for a further three months the emergency decree over the southern provinces. This decree offers the highest level of systemic immunity for gross human rights abuses committed by state officers in Thailand. In your own words, “The emergency decree makes it possible for soldiers and police officers get away with murder.” The AHRC urges you to call again on the Government of Thailand to revoke the decree, and with it, the martial law that has been in force across the entire country since September 19. 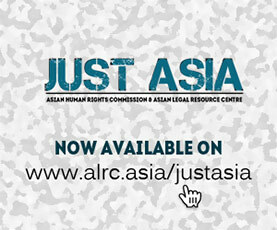 Finally, the AHRC also urges you to renew your formal request to visit Thailand. In addition to the above issues, the top priorities for a visit should include the use of “blacklists” by the armed forces in the south to abduct and kill an unknown number of persons, and the thousands of killings under the “war on drugs” launched by the previous administration, out of which only a handful have been properly investigated. « INDIA: Policing in India only works when it affects the rights and security of the rich and influential, for the poor and needy… who cares!